Don’t let others put a damper on your positive attitude. Over the past month, I’ve been in quite a few situations where it would have been really easy to let others bring me down. But by choosing to not let their negativity affect my attitude, those moments stayed positive for me. Stressing about things that are out of your control doesn’t do anyone any good. Planning a fundraiser where all the original venders bailed could have really stressed me out. But I was able to keep an “it will be what it will be” attitude, and the event had greater results than I was hoping for (thank you, Jesus!)! 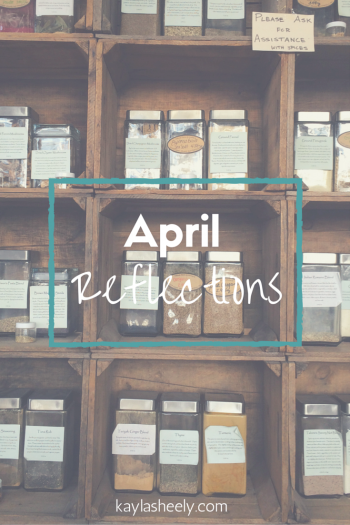 What has April taught you? I’d love to hear how you are growing!